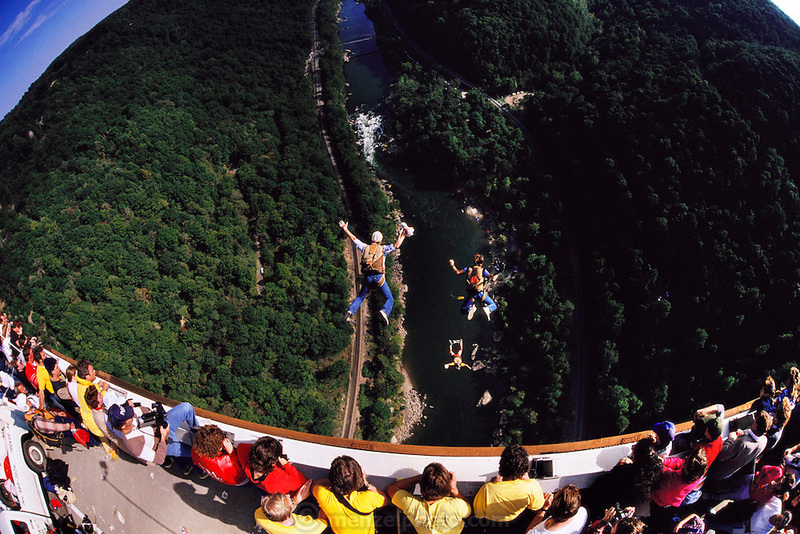 BASE jumping from New River Gorge bridge, Bridge Day, West Virginia, USA. BASE jumping is the sport of using a parachute to jump from fixed objects. "BASE" is an acronym that stands for the four categories of objects from which one can jump; (B)uilding, (A)ntenna (an uninhabited tower such as an aerial mast), (S)pan (a bridge, arch or dome), and (E)arth (a cliff or other natural formation). BASE jumping is much more dangerous than skydiving from aircraft and is currently regarded as a fringe extreme sport. -from Wikipedia.